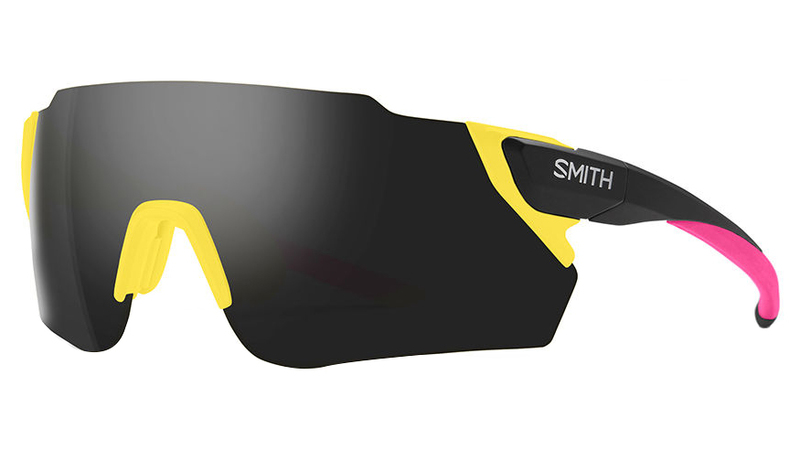 Smith brings us the very latest in performance eyewear with their Attack Max Chromapop. The Attack Max is an exceedingly fast pair of glasses. Experience the sound of speed with Smith MAG™ interchangeable technology; the lens change innovation that enables fast Chromapop lens swapping for varying light conditions. Two ChromaPop lenses are included, and have been crafted with a raised brow design for increased coverage while you’re on the bike. The Attack also features Smith’s two-position nose piece that is engineered to give you an idea fit and all-day comfort. Plush, adjustable temples ensure that your glasses are secure even when you’re at your fastest velocity. Good it and stay on while riding. The only issue is when looking into the sun there can be a glare. Not a showstopper!